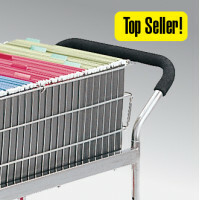 Long Solid Metal Mail Distribution Cart with 16" Rear Wheels - Includes locking top! 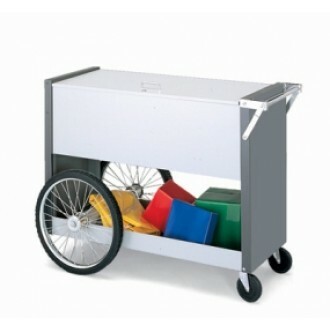 Despite the large size and capacity, these mail distribution carts are surprisingly easy to push and maneuver in the office, mail room, mail center and warehouse. 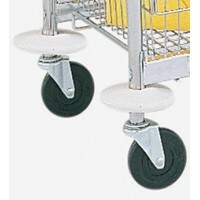 Built strong for large heavy loads this mail distribution cart features easy-rolling 16" rear tires and 5" front industrial casters. 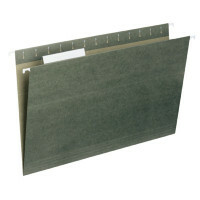 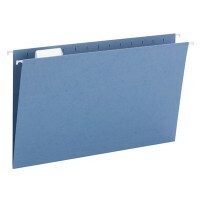 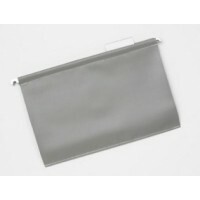 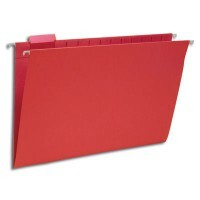 Top file bin easily holds 200 legal-size file folders (file folders sold separately) to cut your delivery time in half. 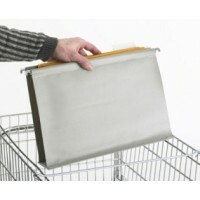 Click Here for mail carts Accessories. 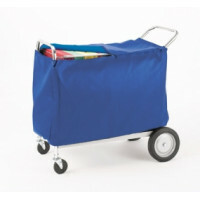 • This mail cart includes locking hinged top with two keys.